How do you bring American manufacturing to an industry that could be wiped out by government over-regulation in the next four years? Short answer: Absent real regulatory reform, you don’t. That was the message AVA President Gregory Conley and five other harm reduction advocates brought to Washington D.C. on July 24, 2018, when a public hearing was held before the Section 301 Committee of the Office of the United States Trade Representative (USTR) on President Donald Trump’s second set of proposed tariffs on a variety of products imported into the U.S. from China. Vaping advocates had previously breathed a sigh of relief when the first round of President Trump’s increased tariffs on Chinese-made products did not impact vaping products. Regrettably, the trade war between the U.S. and China has not subsided since then, and in June and July, President Trump announced a second and third set of tariffs. Both packages contain provisions that would make it more expensive for adult smokers to switch to vaping. As it stands today, enactment of President Trump’s proposed tariffs will result in all e-cigarette devices and parts (likely pods, tanks, coils, cartridges, batteries made for usage in vaping products, etc.) imported from China being subject to a tariff of 25% (or, more accurately, an import tax of 25%). The costs of this tax will inevitably be passed along to consumers in the form of higher costs. At the hearing, the committee heard thirty minutes of testimony from six harm reduction and industry advocates about the severe harm to small businesses and public health that would result from these tariff hikes. As pictured above, giving testimony were Arnaud Dumas de Rauly (Blinc Group), Brittani Cushman (Vapor Technology Association), Carrie Wade (R Street Institute), Guy Bentley (Reason Foundation), Gregory Conley (American Vaping Association), and Tracy Musgrove (vape shop owner — Revolutionary Vapes in Williamsburg, VA). Vaping products are far less hazardous than smoking and helping smokers quit. Price hikes at the retail level will deter current smokers from switching. FDA Commissioner Scott Gottlieb has thus far failed to enact real regulatory reform at the FDA Center for Tobacco Products. The vaping industry is not only banned from introducing new products, but also facing near-extinction in August of 2022 because of extensive and enormously expensive regulatory requirements. As such, there is little chance that American manufacturers would be able to attract the tens of millions of dollars in capital investments that would be required to domestically produce significant quantities of vaping devices. AVA’s comments on the proposed tariffs were included in two Bloomberg reports and in an Op Ed published at Inside Sources by Michael McGrady. Tobacco-company stocks have plunged this year—along with cigarette sales—because of a wonderful trend: the percentage of people smoking has fallen to a historic low. For the first time, the smoking rate in America has dropped below 15 percent for adults and 8 percent for high school students. But instead of celebrating this trend, public-health activists are working hard to reverse it. They’ve renewed their campaign against the vaping industry and singled out Juul Labs, the maker of an e-cigarette so effective at weaning smokers from their habit that Wall Street analysts are calling it an existential threat to tobacco companies. In just a few years, Juul has taken over more than half the e-cigarette market thanks to its innovative device, which uses replaceable snap-on pods containing a novel liquid called nicotine salt. Because the Juul’s aerosol vapor delivers nicotine more quickly than other vaping devices, it feels more like a tobacco cigarette, so it appeals to smokers who want nicotine’s benefits (of which there are many) without the toxins and carcinogens in tobacco smoke. It clearly seems to be the most effective technology ever developed for getting smokers to quit, and there’s no question that it’s far safer than tobacco cigarettes. But activists are so determined to prohibit any use of nicotine that they’re calling Juul a “massive public-health disaster” and have persuaded journalists, Democratic politicians, and federal officials to combat the “Juuling epidemic” among teenagers. The risk factors for smokeless tobacco compared to cigarettes, and the American Cancer Society’s tacit acknowledgement in a recent paper that modern American smokeless products have minimal risk for cancer are discussed in this interview with UC San Francisco professor Kevin McGirr on the nationally syndicated Frankie Boyer Show for BizTalkRadio. Kevin McGirr is Clinical Professor in the School of Nursing at the University of California, San Francisco; has taught in schools of medicine, social work and public health and was a Fulbright Scholar in Pondicherry India, 2013-2014. He has over forty years of experience in providing and managing behavioral health services; holds master’s degrees in public health, psychiatric nursing and ABD in public health. He has been involved in the training and development of harm reduction services and in particular utilizing Harm Reduction Tobacco interventions for persons with serious mental illness. At the June 2017 Global Forum on Nicotine in Warsaw, Poland, Kevin McGirr was invited to present his recent qualitative investigation on the experience of tobacco interventions by persons with serious mental illness. UPDATE (5/24/2018): Naked 100, which previously partnered with the AVA for VapesGiving, has issued a challenge to manufacturers and distributors in the vape industry. Naked will match donations from manufacturers and distributors up to a total of $50,000! To make sure your donation is counted, please post on this Facebook post (or email it to us using our Contact page). This is an important call to action for all who have an interest in seeing vaping products remain a viable alternative to combustible cigarettes. 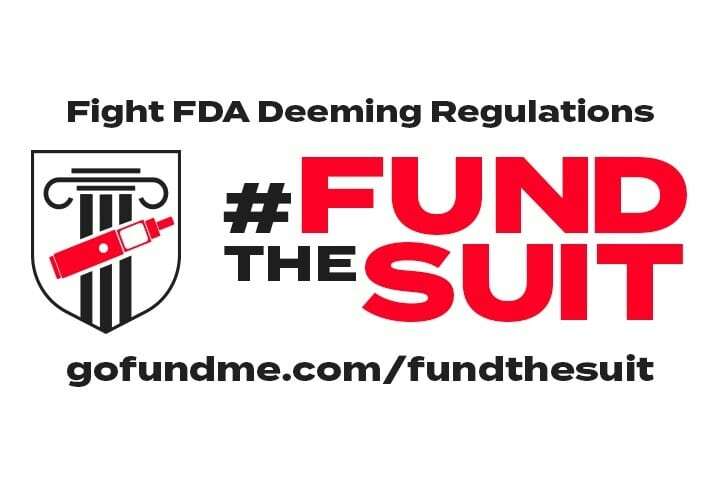 The future of vaping is in danger, and we need your help to #FUNDtheSUIT and ensure that millions of smokers continue to have access to vaping devices that can change — and save — their lives. The ongoing Nicopure and Right to be Smoke-Free vs. FDA suit, currently on appeal in federal court, is critical to the survival of vaping as we know it. Under the FDA’s 2016 “deeming rule”, vaping products are considered “tobacco products” and subject to extremely strict regulations. The FDA’s rule imposes extremely harsh burdens on vaping product manufacturers that were never applied to cigarette companies. These rules not only threaten innovation in the market, but the continued existence of products that are freely available on the market today. The FDA itself estimates that up to 97% of vaping manufacturers could be wiped out by the costs of the long and extremely expensive retroactive premarket approval process. Any vaping product on the market — devices, liquids, tanks, coils — that has not gone through this process will be prohibited from being sold. This puts large, multibillion dollar tobacco companies in place to take over the market. It gets worse. Advertising and marketing rules for tobacco products are extremely strict, and the FDA is preventing vaping device manufacturers from making even making objectively truthful statements like “tar-free” or “no ash.” This keeps smokers from understanding the potential benefits of vaping. Free samples, even for trying different flavors and nicotine levels, are also prohibited, so age-verified adults looking to switch can’t easily find the product that best meets their needs. These rules keep smokers smoking, and that keeps them in danger from the many well-documented health risks of combustible tobacco. The FDA has the power to tailor regulation to the unique needs of the vaping industry and the many benefits its products offer smokers. That it has chosen not to do so will have devastating consequences for both public health and the thriving independent market that has grown around vaping. It is no exaggeration to say that lives are in danger. Nicopure and Right to be Smoke-Free vs. FDA challenges the agency’s heavy-handed choices and demands that the FDA regulate responsibly. This fight is so important that the AVA previously helped raise nearly $50,000 for the lawsuit through the Right to Vape Campaign in 2016. Now, we need your help. Join the AVA, the Right to the Smoke-Free Coalition, and stakeholders nationwide by contributing to this important effort on GoFundMe and spreading the word about the battle for vaping. We’re counting on you. Consumer donations are absolutely welcome. However, as an organization we believe that it is the industry that should stand up to fund important efforts like this. On June 5, 2018, San Francisco voters will decide on Proposition E, a measure that would uphold the city’s ban on retail sales of flavored tobacco products (including vaping products) enacted last year. 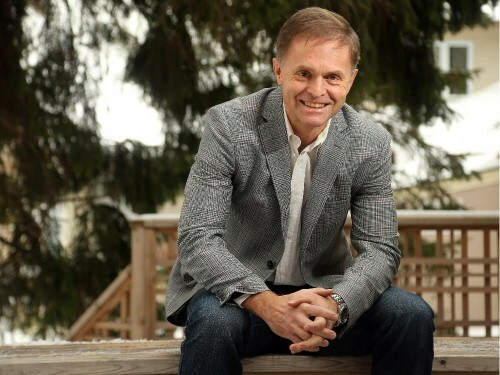 David Sweanor, from the Centre for Health Law, Policy & Ethics, University of Ottawa, recently joined Chip Franklin on KGO-AM to discuss the potential consequences to public health should the measure pass. Sweanor, a global public health advocate, shares his views on why such a ban could keep people smoking by curtailing adult access to lower-risk smoke-free products. Last year, Sweanor gave a TedX Talk entitled “Dragons and Dragonslayers,” which we highly recommend.